The AML M5520 has been discontinued. No direct replacement is available. 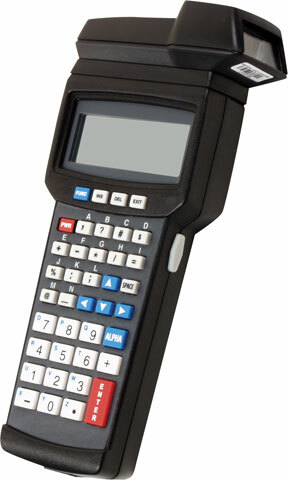 The AML M5520 portable data terminal with integrated extended range laser scanner delivers high performance across a wide range of portable data collection applications including inventory control, asset tracking, shipping & receiving, and point-of-sale. Designed to provide superior performance at a budget-friendly price, the M5520 is the best value for virtually any portable data collection application even in the most demanding work environments. The M5520 portable data terminal functions as either a portable terminal or as an in-line keyboard wedge (non-portable), providing you with dual functionality. The M5520 features 256K of expandable RAM plus 2MB of flash memory and includes a serial cable that makes connection easy.